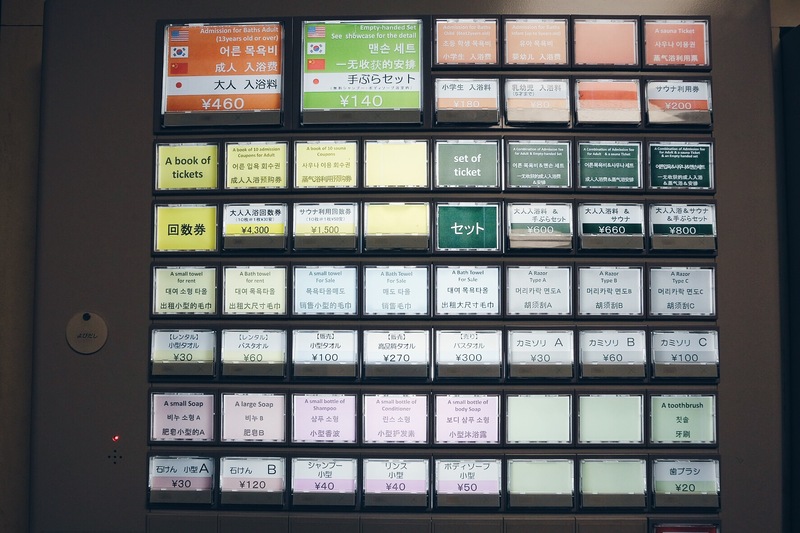 Forget the spa, when in Japan you go to an onsen. So that is what I did. 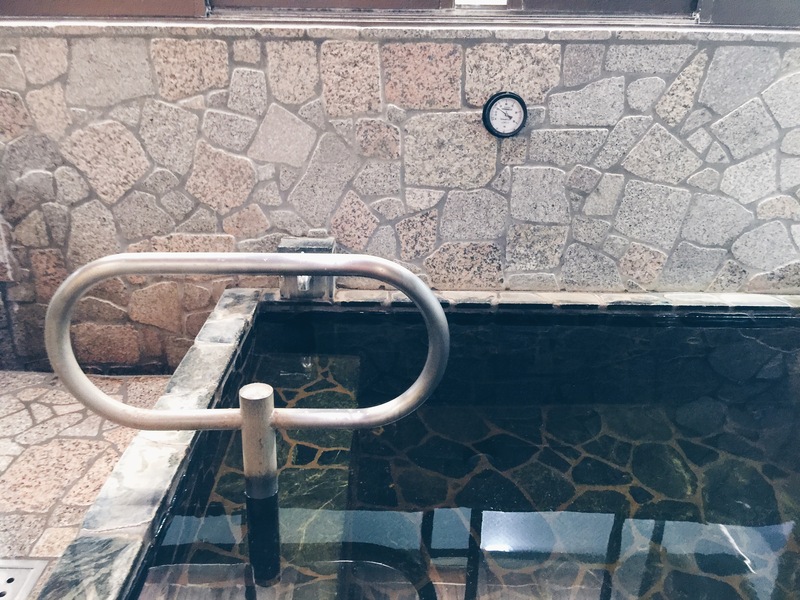 I tried my very first onsen (natural hot spring). 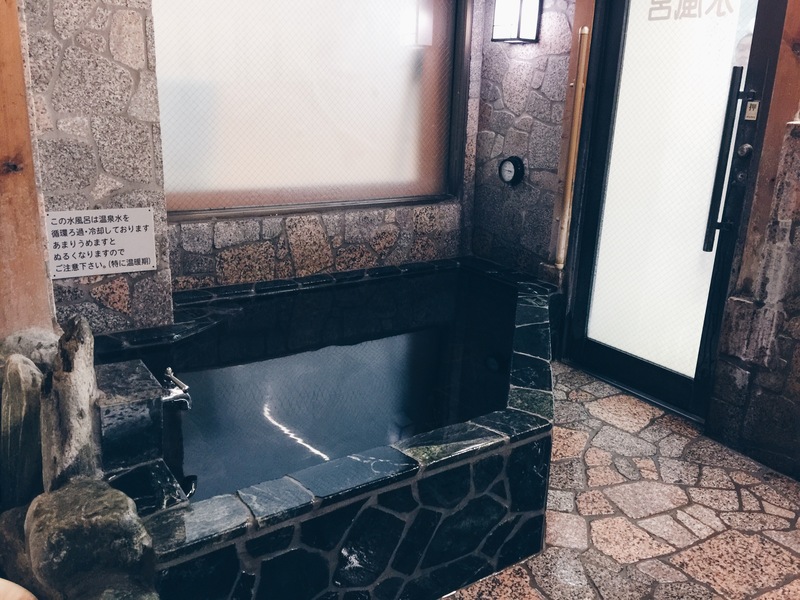 In Japan, hot springs bubble up everywhere (there are reportedly 2.500 of them), and for hundreds of years Japanese people have enjoyed them mainly for health benefits and socializing. The onsen waters come in different colors, green, brown or black; many such waters are thought to help smooth the skin or relieve back pain. Just around the corner from our hotel is a small public onsen, Jakotsuyu (one of the last ones I am told). It was very hard to find, located at the bottom of the tiniest alley. But I found it. 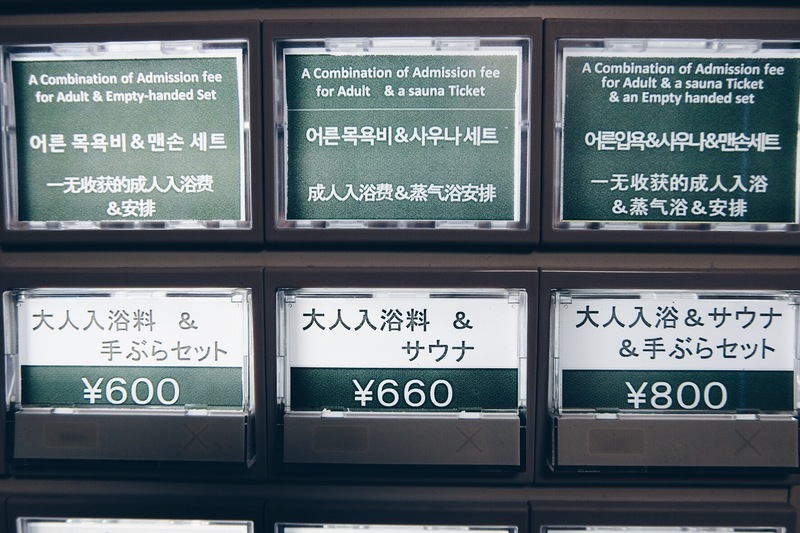 I was very happy to learn that it was not only public, but it was also foreigner friendly, so I could actually help myself to a tickets to get in and towels. I couldn’t really take a lot of pictures, since the place was full of local women (the baths around Japan are 100% gender divided). 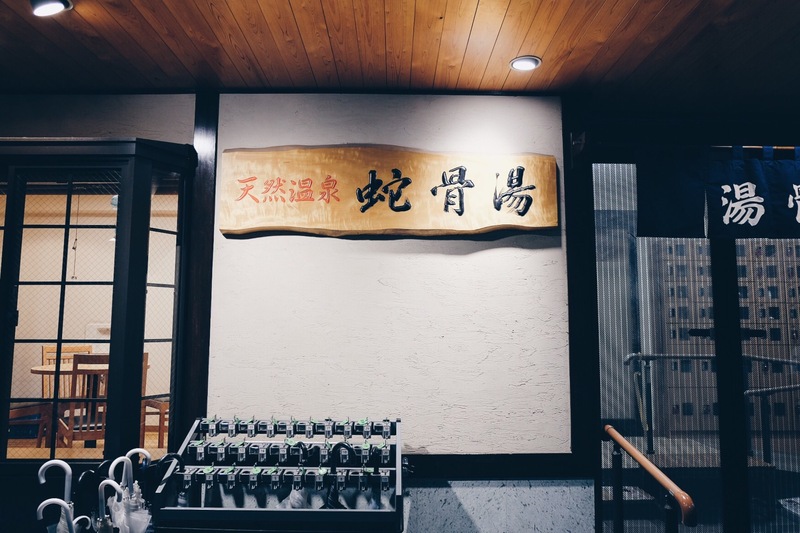 However, I can say it was definitely a very special and unique experience, and the hot spring water felt like a treat after a long day of walking around and sightseeing all day.